1. Keep the home clear. One of the biggest things that lead to falls is basic clutter, especially since it’s easy to forget that item is in place. If regular cleaning is too much for a senior to do, consider either paying a visit on a regular basis to check the home or even hiring a professional for some basic cleaning. Certain home fixtures like loose carpet and rugs also present an added risk. 2. Modify the bathroom. The combination of slippery floors and hard surfaces mean a fall in a bathroom can do some serious damage. Something as simple as installing a grab bar or toilet safety frame can cut down on risk significantly. In addition, there is such a thing as slip-resistant flooring if you are planning a remodel. 3. 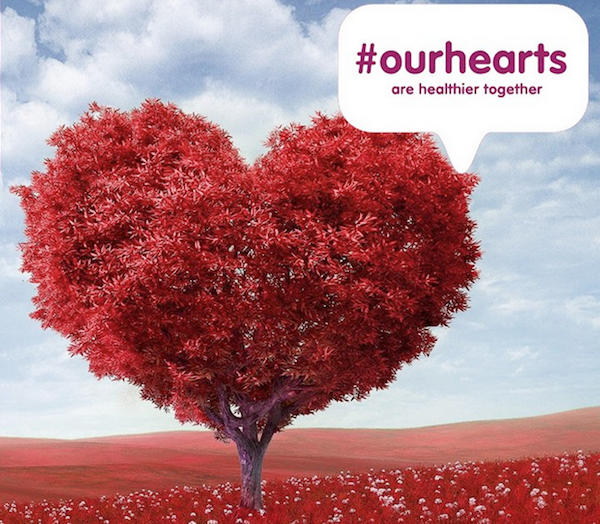 Have a discussion with your loved one’s doctor. This may be a surprising method of fall prevention, but in some cases, certain medications can lead to dizziness or light-headedness. The doctor may be able to recommend alternatives or give your aging family member advice on when to take certain medications to avoid falling. 4. Provide proper lighting. Along with cluttering, one of the major issues that makes a home unsafe is fall hazards obscured in darkness, especially at night. Good things to do on top of buying more powerful bulbs for seniors, are making sure that you give extra lighting in certain areas. This can include bathrooms, hallways and cooking area. Even a night light in the bedroom can go a long way. 5. Use some added support. 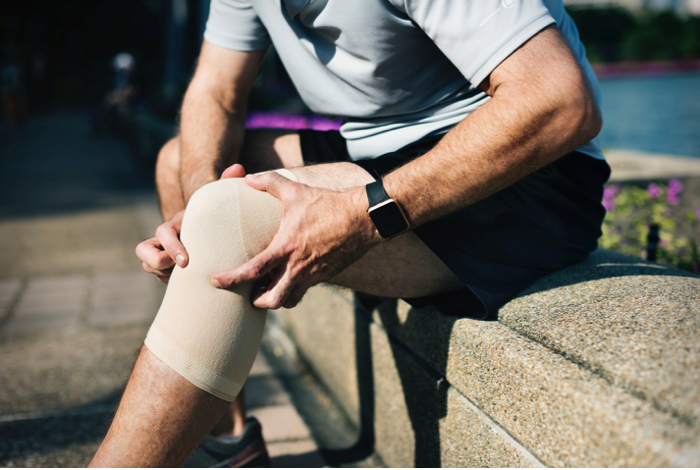 In some cases, walking aids and other similar items can do a lot to lower the risk of falling, but there’s a variety of new technology and tools that help deal with these various issues. One interesting example is a wearable airbag worn like a belt to help prevent falls. If this sounds like a bit much, you may be better served just looking into something like a medical alert system. Getting medical help quickly can keep falls from becoming a major health issue. Think of this as a basic guide for helping your aging loved ones prevent falls. Every home and environment is different, and every senior has a different health profile that affects their chances of falling. The best thing you can do is be prepared. 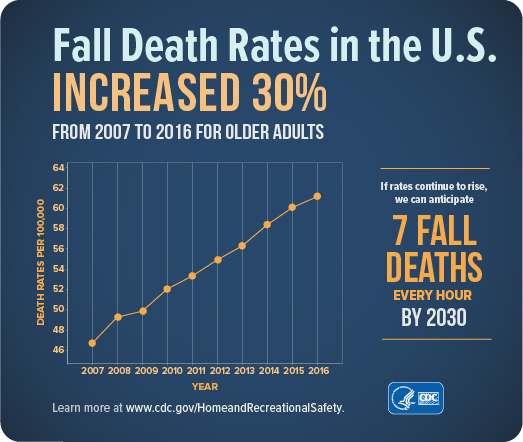 This means not only using all the above tips, but also looking into other resources to stay on top of other advances in technology and practices behind fall prevention. if you are concerned, it may be a good idea to have a trained professional to do a comprehensive home safety assessment. 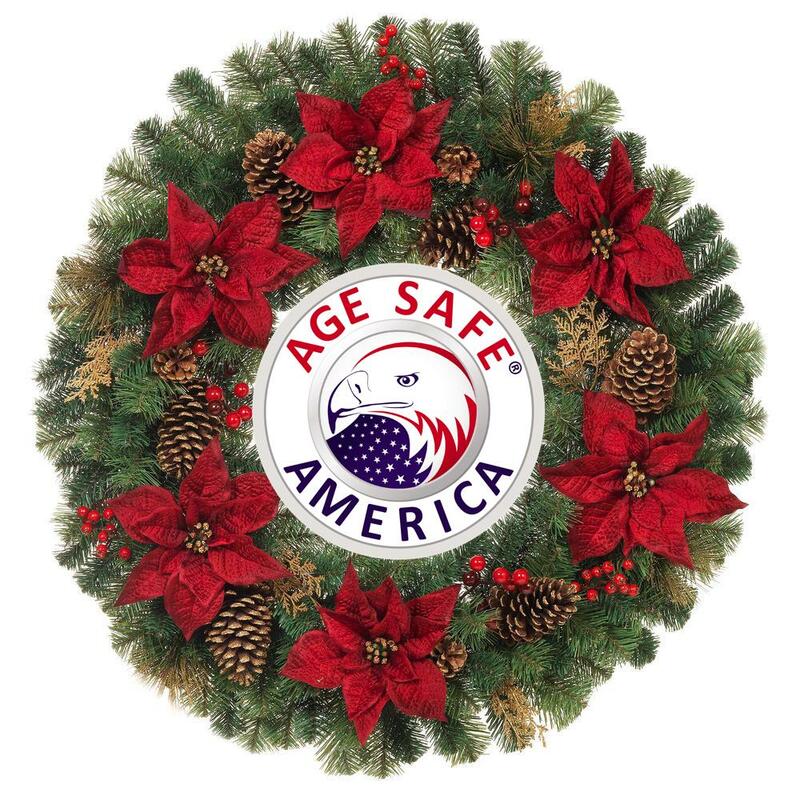 Look for a certified Senior Home Safety Specialist™, Occupational Therapist or Certified Aging in Place Specialist (CAPS) in your area. A possible misconception about creating aging in place improvements or designs is that they need to address the specific needs of the client in ways that are noticeable to the client – and others. We know that if someone has a ramp installed when it wasn’t there previously that it going to be an obvious improvement – at least in the short-term. However, depending on how it is installed, its placement on the property, and any landscaping or other design treatments that are used to soften its appearance and provide a little privacy for the user, it does not need to garner all of the attention as the main thing that someone notices as they approach the property. Ramps are becoming quite popular and rank as one of the most requested and completed aging in place projects. Nevertheless, they can be constructed in a way that allows them to blend into the home’s exterior design as an integral part of it rather than something that has been added. This is the point of effective aging in place design and how universal design as a strategy helps us to implement changes that our clients need without calling attention to those changes. We want our clients to function well within their living space (and the area immediately around their home), and we can create improvements that are integrated into the home’s design rather than appearing as an addition – inside or out. Safety considerations are a classic example of this. We can go through a client’s home and make several safety improvements that allow them to live in their home more effectively but aren’t necessarily obvious or even noticeable. For instance, if we add more lighting in a space – additional fixtures, increased lumens, or higher Kelvin ratings – the additional brightness might be noticeable but not the fact that it is easier to see in that space, that it is less likely that someone will trip over something on the floor because it wasn’t as visible previously, or that the space seems bigger and more pleasant. We don’t even need to inform the client why we performed this improvement – as long as they are pleased with the results. There are many types of similar improvements that can be done to increase the function or effectiveness of the client’s living space without calling out what was done or why. If we add a safety bar (also known as a grab bar, safety assist, and similar names) near the entrance to the tub or shower in the bathroom, it is going to be noticeable – even though it is highly recommended. On the other hand, if we incorporated a grab bar into a towel bar or toilet paper holder so that it looked like the item that was expected only a little fancier, we would have increased client safety without letting them know what we did or why other than to add a little visual interest to their towel bar, soap dish, corner shelf, or paper holder. In the kitchen, if we replaced small round or square door or drawer pulls that often are difficult to grasp and use with larger bar-style pulls that allow a person’s fingers to get behind it and pull it open, it might be noticeable as a different type of pull but not as one that is more effective to use (at least not until the client had experienced it) and easier on the hands and fingers. Similarly, if we made sure those new pulls did not have extensions on them past the mounting posts that could catch clothing or skin, they would be considerably safer but likely totally unnoticeable as an improvement over the type that has such extensions. There are many other common improvements that we use for aging in place that likely go unnoticed because they are so common and attractive. Consider rocker light switches that are often installed in place of the older style toggle controls – or even using motion sensor light switches to turn lights on and off. Lever door handles used in place or round knobs likely won’t draw any notice because they are so frequently used, but they are effective nonetheless. In the kitchen especially, and often in the bathroom as well, using a single-lever faucet is effective and quite common as well. No one is likely to comment on it being different or question why it is being used over a two-handle style. There are many design features that we can use in creating effective aging in place improvements that are not especially noticeable as being special or different – or suggest why they have been used – that we can install for our clients to provide safer and more functional living spaces for them. Steve is an award-winning aging-in-place specialist-instructor (NAHB, “2015 CAPS Educator of the Year”), a universal design trainer-instructor, and award-winning new home sales trainer. Steve has written and published several books on universal design, aging-in-place, and new home sales. Since 2007, he has educated hundreds of remodelers, general contractors, occupational therapists, physical therapists, health care professionals, interior designers, kitchen and bath designers, architects, attorneys, durable medical equipment providers, building materials manufacturers, university faculty, local and regional governmental and non-profit housing agencies.